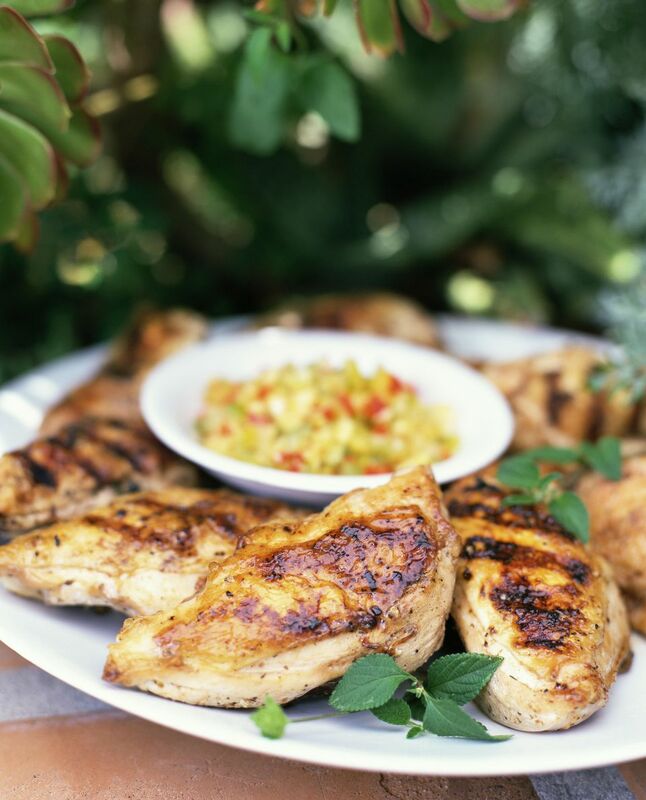 Using tamarind pulp gives these chicken breasts a deliciously sweet yet tangy flavor. You can serve these as is, or slice and serve in salads and wraps. If you're looking for a fast, flavorful meal, then this is it. 1. Place chicken in a resealable plastic bag. Mix remaining ingredients in a medium mixing bowl. Pour 1/2 of the mixture over chicken, seal, and allow to marinate in the refrigerator for 2-6 hours. 2. Place remaining marinade in a small saucepan and bring to a simmer. Reduce heat to low and allow to simmer for 10 minutes, stirring occasionally. Once the sauce has thickened (coats a back of a spoon). Remove from heat and let cool to room temperature. Rewarm sauce (if required) for a few minutes right before serving. 2. Preheat grill for medium-high heat. Remove chicken from bag and discard marinade. Place chicken onto the grill and cook for 6 minutes per side (or until internal temperature reaches between 165-170 degrees). Remove from heat and serve with topped with warmed tamarind sauce. Serve with your favorite sides.